If you like to fish, why not cast your line in Chandler&apos;s urban fishing program? During fall, winter and spring, the Arizona Game and Fish Department stocks the Chandler lakes with Channel catfish, Rainbow trout, Largemouth bass and sunfish. Anglers can find fish in the lakes of two Chandler parks: Desert Breeze Park and Veterans Oasis Park. Desert Breeze Lake is four acres with an average depth of eight feet and a maximum depth of 12 feet and also known as Chandler&apos;s first fishing lake. In addition to great fishing, the lake is an excellent choice for a fishing trip with the kids. Surrounded by an active park with a dedicated playing area featuring climbing structures, spray pad and a vintage, open-top train and a charming antique carousel. Located in east Chandler, Veterans Oasis Park is five acres with an average depth of five feet and a maximum depth of 14 feet. This lake has a more natural feel to it as it is designed as a more natural oasis, surrounded by desert shrubs. 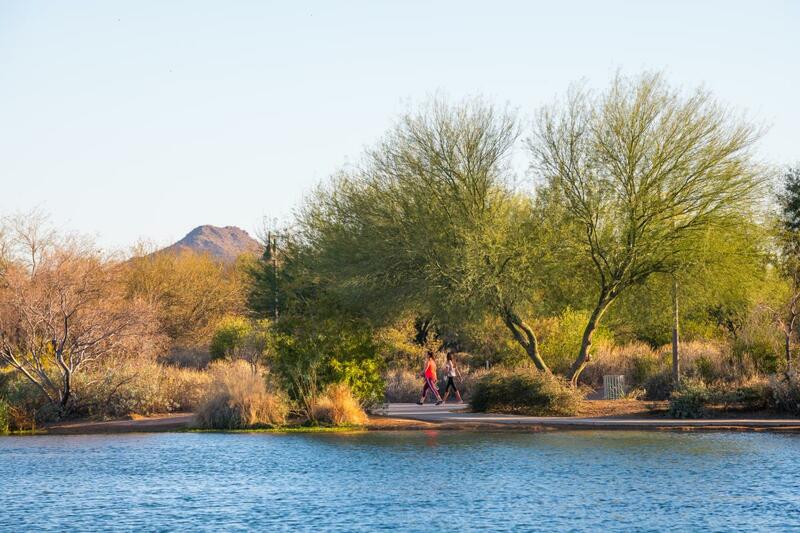 In addition to great fishing, the park is an excellent place to see birds as one of the premiere birding spots in the area featuring desert walking trails and a self-guided Chandler Solar System Walk around the lake. Stocking schedules are posted on the Arizona Game & Fish Department (AZGFD) website. Exact dates are not disclosed, but the week are listed. A valid fishing license is required and is available online at several Chandler retailers including Walmart, Sport Chalet and Big 5 Sporting Goods.